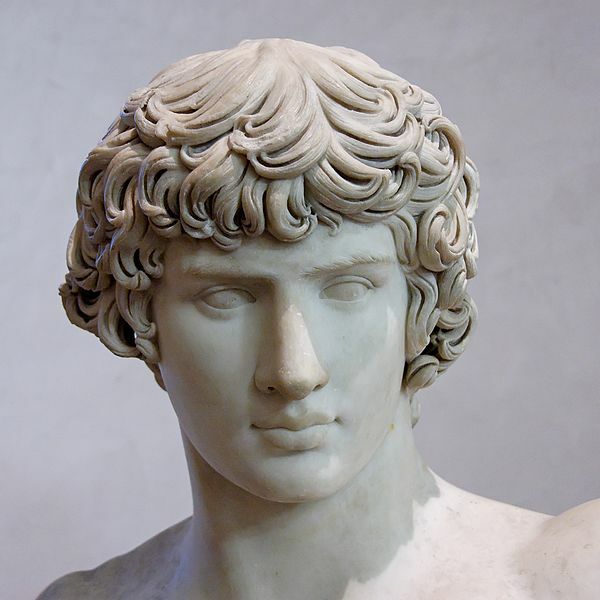 Ladies and gentlemen, but mostly gentlemen, nah just gentlemen; This curly haired cherub is Antinous. He was known as one of the most beautiful men of the Classical world by contemporary scholars and our sources. 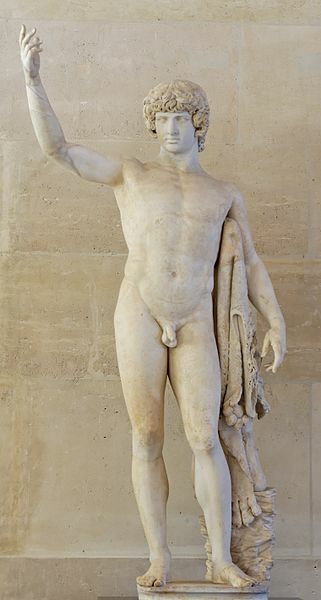 Whether or not this was the widespread case or the desperate attempt of a certain Emperor to justify the deification of Antinous in his grief, I suppose we’ll leave to the Classical Antiquity Beauty Pageant. But, honestly, not really anything is known about this guy. Except that Cassius Dio managed to find out that he was from Bithynium. And, uh. Yep. I’ve seen more rippling pectorals on a statue. I mean, just sayin’. While sailing on the Nile he [Hadrian] lost his Antinous, for whom he wept like a woman. And while you SHOULD generally take whatever this source says with a grain of salt, it is believed by most scholars that their relationship was fairly sexual. I mean, unless you’re that one lone denier who thinks it is completely platonic for a guy to venerate and order the people under his will to erect statues in honor of Antinous’ beauty and worship him in a cult fashion. Mhm. Yeah. “Just friends”. What I find most curious about the story between Hadrian and Antinous is what information we have concerning his death, drowning in the river Nile. Some sources say that he was sacrificed, either by himself or others, because of his beauty. Sounds like something a Shakespearean character in love would do. So, what do you all think? Hot or NOT?